Correct me if I am wrong but that's what's on a turbo 2000 anyway? 1997 Subaru replaced the TD05 in favor of the smaller and quicker spooling TD04. As above... what year is your Scooby? Last edited by chris2000; 08 Jul 2010 at 12:20 PM. Depends on your power goals. 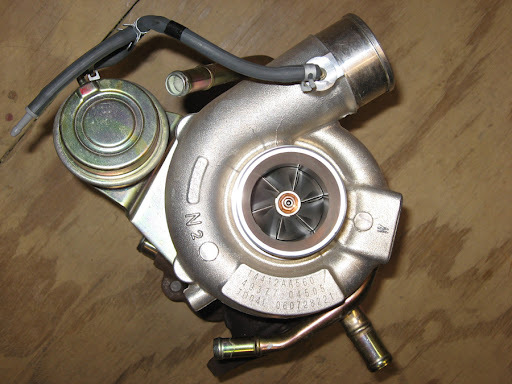 TD04 turbo's as standard are better for low down torque but perhaps not so much power high rpm. The TDO4 is smaller than TDO5 as Pete said, the TDO5 will produce more power if needed but also give more lag. If it was me I'd go for a VF34 if I was looking at 300 bhp. TD04 with a de-cat/sports cat and air filter plus remap you should be looking at around the 270BHP mark. Tidgy is the man to ask, sure he runs a VF34 on his Turbo 2000 "TIDGY"
If your after 300 bhp ,then a vf23 or a vf 28 both will make 300+ bhp with a few supporting mods ,and a half decent one can be picked up much cheaper than a vf 35, and the 28 spools up a tad quicker than the vf35.